ERA404, who has worked with author, Jonathan Safran Foer, on The Project Museum (his personal site) and Who is Augustine? 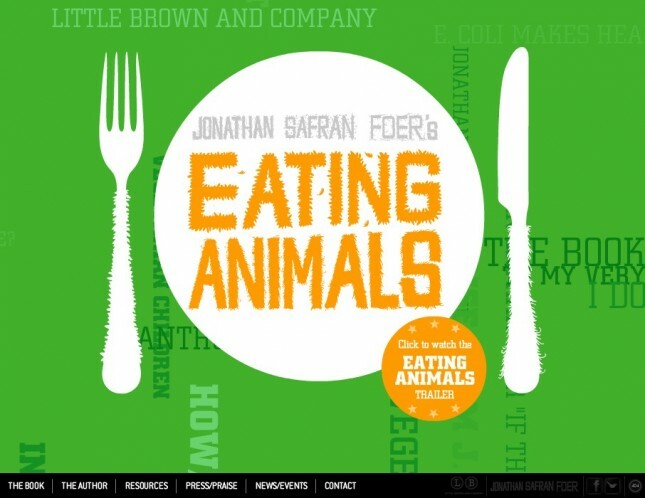 (the exploratory site for Everything is Illuminated) just launched the site for Foer’s much anticipated third book, Eating Animals (Little, Brown and Company, 11/2009). This book, though focused on the same audiences as his fiction, departs from his traditional work in that it is an exploration on his paternal concerns for meat consumption. Watch the trailer, learn about the book and author and interact in the Eating Animals forums.